Leeds is the 3rd biggest city in the UK (and 259th in the whole world, if anyone wanted to know). A small indie shop or company could easily get lost in the whirlpool of city life, but a fairly new trend of area-specific social media accounts (notably Instagram) allow even the smallest of businesses or events to broadcast to a load of followers wanting to know that bit more about their city. 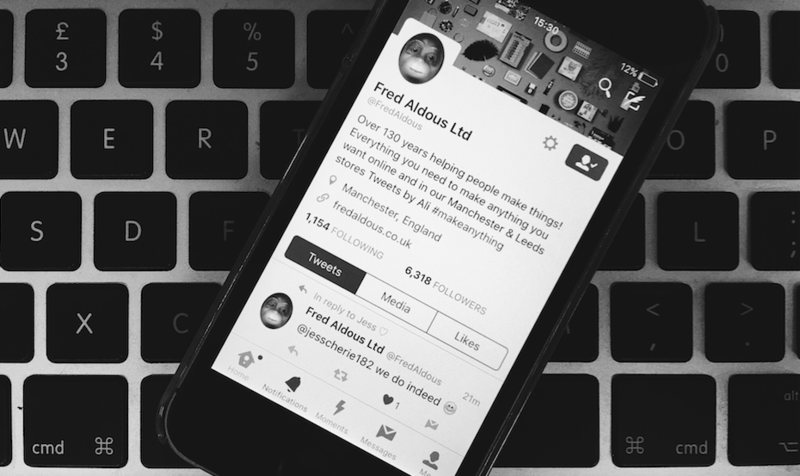 These accounts document Leeds life – what shops or bars should be celebrated, events and projects and general goings on in our city. A few taps on your phone could bring up articles on trampolining or documentaries or knitting – whatever your hobby is, you can learn and develop it through social media. We can buy that obscure stationary set from a small shop in Cornwall. Or hand-made dresses made in an Etsy seller’s living room. Social media accounts mean that we don’t just find out about the mega companies who have money to advertise in between X-Factor breaks. Sure, Coca Cola do some awesome advertising, and we all know the M&S food adverts, but platforms like Instagram gives us exclusive access to smaller, more down to earth places – that without the presence of social accounts – might not be on our radar. 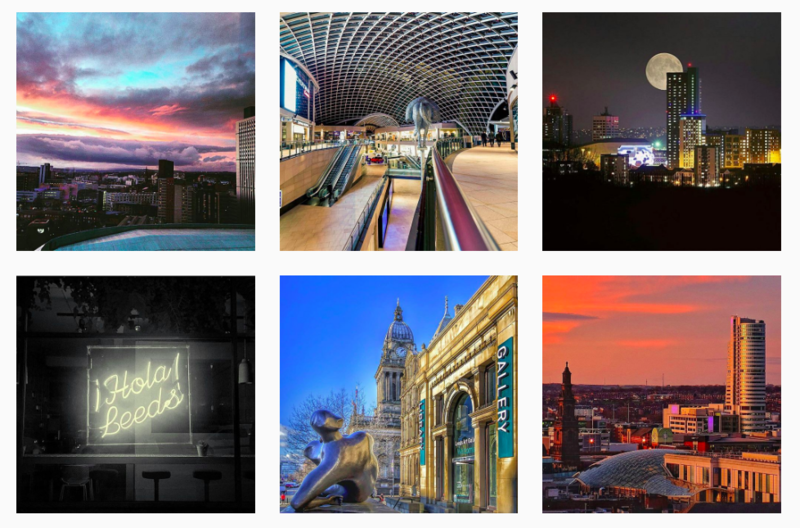 The hugely popular platform Instagram has a load of accounts that photograph Leeds in all its colours. Some capture the beauty of the city’s architecture, others account for the “real” Leeds: the good, the bad, and the ugly. (But mostly the good, because Leeds is awesome. Obviously). @leeds.life celebrates Leeds for its stunning architecture. With almost 17k followers, it’s reached a pretty considerable audience. Along with crediting the photographer and using a plentitude of hashtags, Leeds Life uses image captions to encourage local businesses to take full advantage of the following they’ve accumulated: “Tag us in your pictures of use the hashtag #LeedsLife to get featured. Free marketing for both their account and photographers of all abilities!” Win-win. A picture that gets featured might contain a shop front, a poster, or a sign. Though not intentional, these images subconsciously remind Leeds Life’s followers of parts of Leeds they might want to visit. Alongside the beautiful buildings of Leeds, Leeds Life advertise the coolest and best places to go in the city, snapping pics at the likes My Cookie Dough and Belgrave Music Hall in the last few weeks. Leeds Welcome is more than just a social media account. Their sister site, Independent Leeds, has gained massive traction from its website, social media accounts and various publications (including a newspaper and little black book we featured a couple of weeks ago). 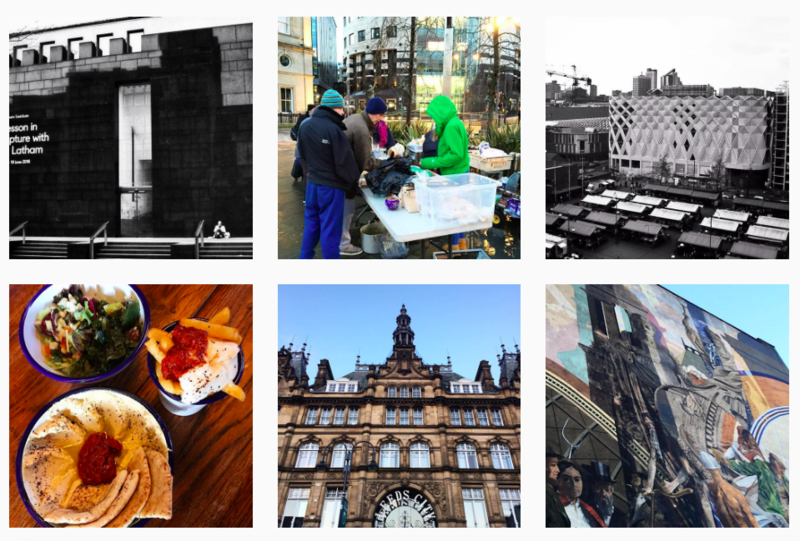 The Leeds Welcome Instagram account delves into the personalities that make Leeds so unique – the charities, the workers, the buskers – it’s an eclectic mix of those who make Leeds the diverse and bustling city it is. Their recent project How Does It Feel (#how_does_it_feel_leeds) with @gone_solid_gone explores Leeds through emotions and people. This gives a far more heartwarming and personal approach to a social media account – Leeds Welcome shows Leeds in real life. On top of that, we all know that any relation to Independent Leeds means one thing: they love independents! Check out the hashtag #indyleeds to discover exciting places and businesses that people have poured their heart and souls into. Leeds Lurking is a collection of photographers who document the urban aspects of Leeds. Their caption, “documenting the undocumented”, depicts their style very well – the photos are an assortment of architecture, the city at night, and abstract linear and clean cut shapes and blocks. This depiction of Leeds is not to promote the obvious. It captures the places that your average Joe Bloggs might not see – or stop to notice. 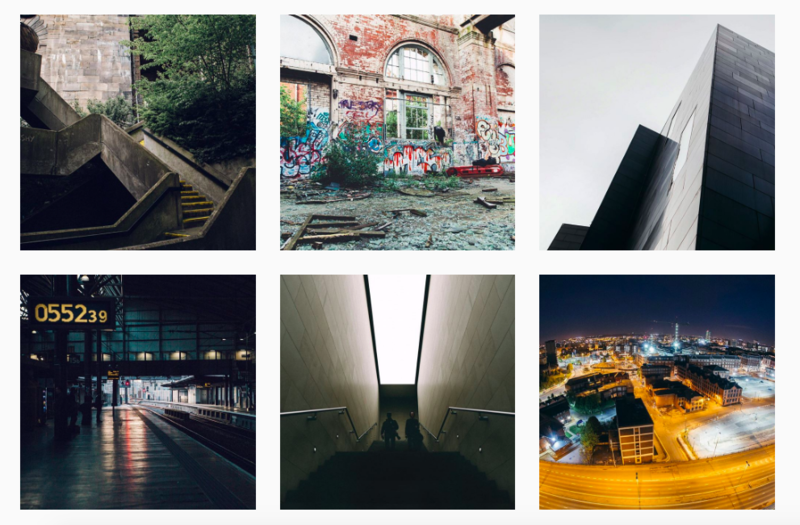 Whether it’s down an alley, looking up when most people are looking on their phones, or climbing to the top of an empty car park of an evening, this group of avid photographers document the unknowns of Leeds – and make them known (you still probably couldn’t find them, though! ).